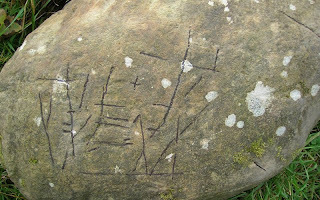 Irish Megaliths Weblog: Ancient scratchings or recent plough-marks ? Ancient scratchings or recent plough-marks ? This boulder is on the edge of a field at Ardganty (Longford).